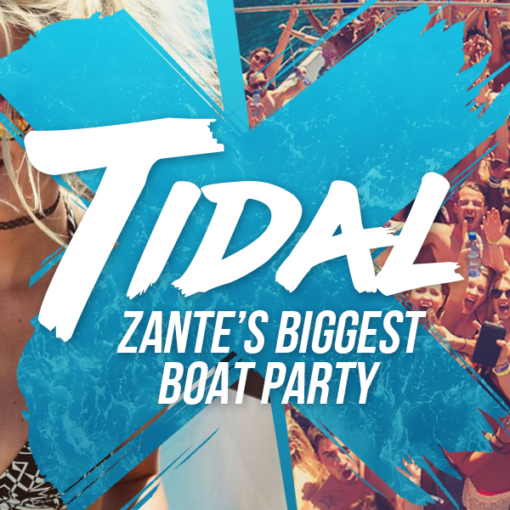 Forget about all the other boat parties you have been offered, Tidal Zante is the newest & most talked about event on the island. It is brought to you by Summer Takeover, who run the most successful working holiday company across Europe and with years of experience, certainly know how to throw a party! This sunset voyage guarantees you have great time; from the moment you step on board, leave your inhibitions behind and enjoy fun and games, the newest tunes and all the drinks you can imagine. Everybody does a Boat Party in Zante, but how do you decide which one? It’s the perfect way to spend the day with a group of friends. This boat party will always be packed with people all looking to have a good time; you are guaranteed to socialise and make a few new friends before being back on dry land. From the first minute to the last, the crew go out of their way to ensure you have an amazing and fun time, giving you the best booze cruise that Zante has to offer. They host plenty of entertaining and outrageous drinking games, designed to get everyone involved and are even more hilarious for observers watching all of the antics. It’s your boat party, you can do what you want. Tidal always welcomes resident DJs and MCs on board to play the latest feel-good tunes, with a beat that will have you showcasing your best dance moves. With the best music, a high-energy atmosphere and the sun setting in the distance, where else would you rather be? And don’t worry; you’ll be back just in time for a big night out on the Laganas Strip. With a swim stop, take a leap overboard and make a splash into the crystal clear Ionian Sea, to refresh and cool down. There is even a cameraman on board to capture all of these great moments, with online access to photographs so your memories last forever, we know what a few drinks can do to the best of memories.